Drools Finster Tropical Fish Food, 100 Gms at the best deals & offers. Drools Finster Tropical Fish Food is a blend of animal and vegetable proteins and essential nutrients.It does not cloud water in the aquarium. It is floating type of fish food. 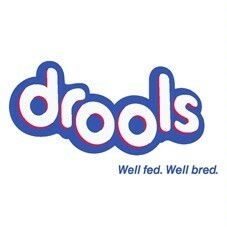 Drools Finster Tropical Fish Food is a blend of animal and vegetable proteins and essential nutrients. The fish gets a high-quality, easily digestible diet which fulfills all its bodily needs. The special formula enhances the splendor of natural colours. Builds immunity and ensures its vitality and longevity. It does not cloud water in the aquarium. It is floating type of fish food. Composition: Fish Meal, Calm Meal, Corn, Wheat Flour, Corn Gluten meal, Soya Bean Meal, Vitamins, Minerals, Colourants.